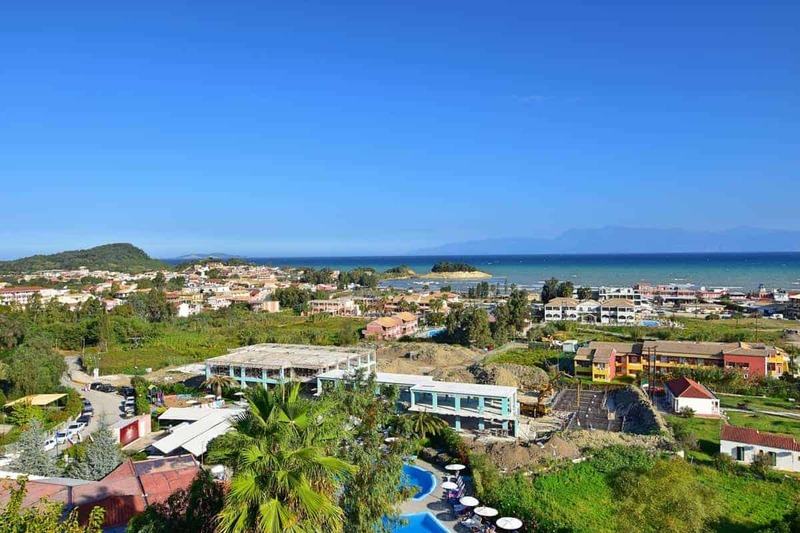 Sidari is a very popular tourist resort on the north coast of Corfu. It’s around 35km from both the capital Kerkyra and the airport. This means the transfer time is going to be at least an hour. 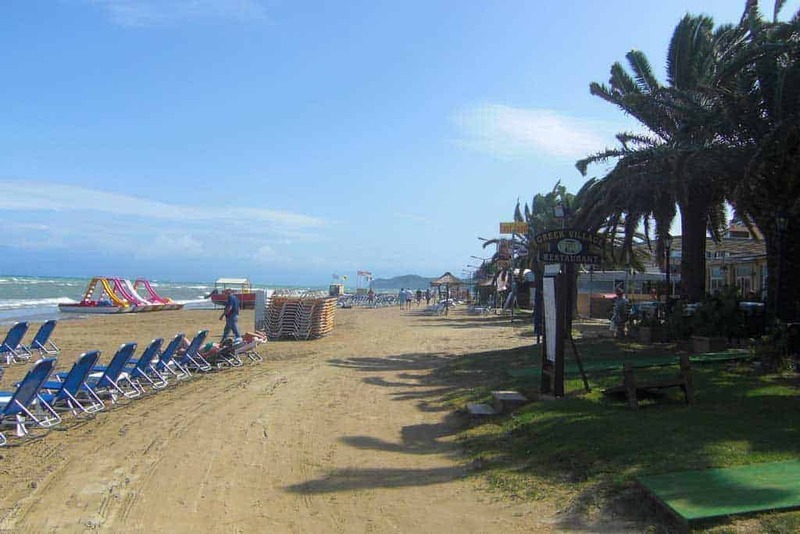 Sidari predominantly caters to package holiday makers with lots of hotels, restaurants, bars, supermarkets, travel agents, vehicle hire shops, souvenir shops and even a campsite just outside the town. All this makes it perfect for those that simply want to stay close to their hotel whilst visiting many different places for lunch, dinner or evening drinks. Some would say that Sidari has lost a lot of it’s traditional Greek charm due to the way it’s grown over the years, and this is probably true but you don’t come to Sidari for Authentic Greek culture, you come for the convenience of everything on your doorstep including the fabulous Sidari beach which is arguably one of the best beaches in Corfu. 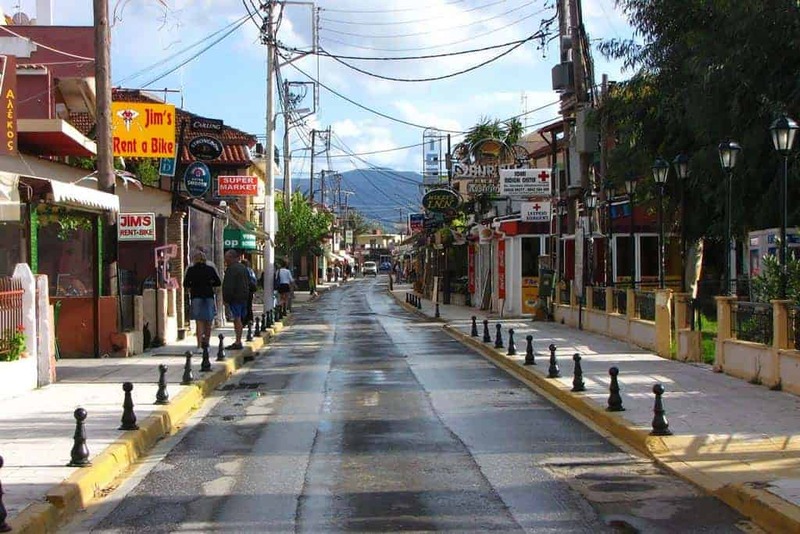 Sidari offers a vast array of evening entertainment, with some places having live music, Greek dancing, plate smashing or Karaoke. There’s also plenty of cocktail bars and even some clubs that are open late into the night so no matter what you’re looking for, entertainment wise, Sidari has you covered. 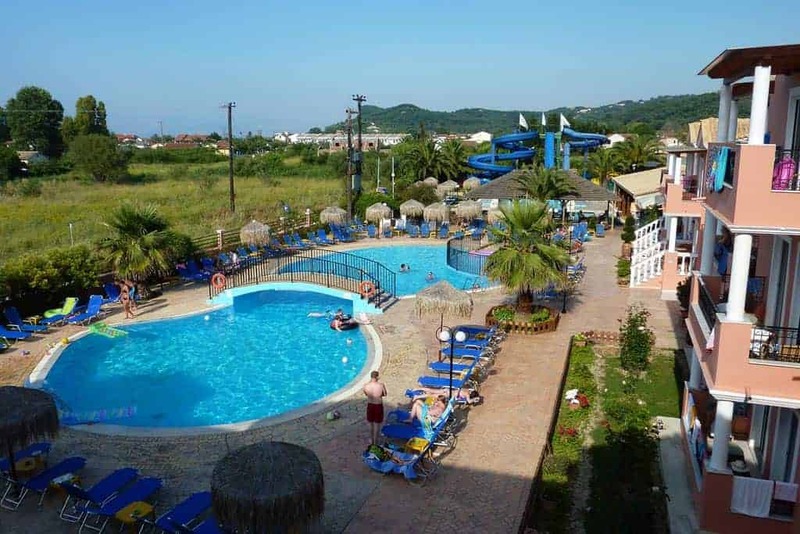 Sidari is also close to a number of attractions that are worth a visit, first is the Sidari Water Park, it’s actually a hotel with a large pool and some slides but non residents can still visit and it’ll keep the kids entertained whilst you relax. 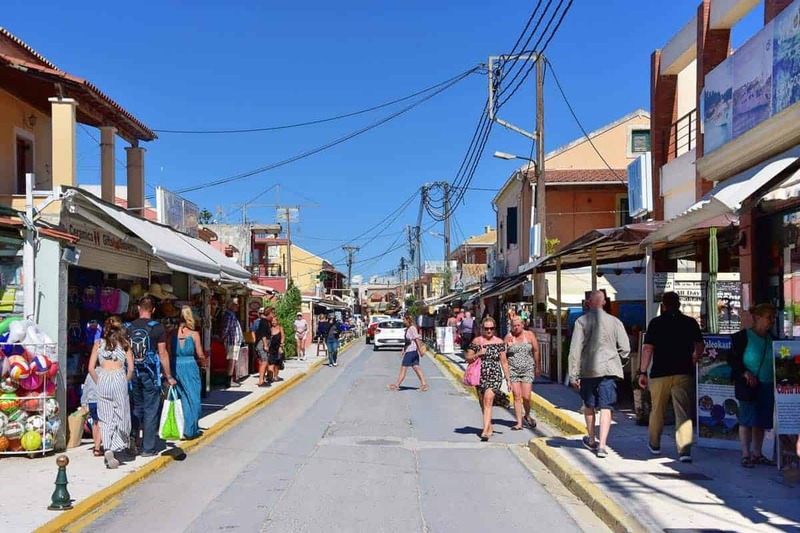 There’s also a scuba diving school close to the beach and the rock formations of Cape Drastis and Canal D’Amour that we would highly recommend taking a look at whilst in the area. No Reviews yet Unfortunately we don't have any reviews for Sidari, if you've been, why not be the first. If you would like to share your thoughts on Sidari with our visitors then please fill in the form below to send them to us. Go to the Corfu resort guide to find out about the great towns and villages on the island. Go to the Corfu beach guide to find out about some of the best beaches on the island. Find something to keep you entertained whilst in Corfu with our Corfu sight seeing guide. Find information on another Greek island, whether that’s to hop from Corfu on a day trip or to research an alternative destination. If you’re going to Corfu or thinking about going then why not tell your friends about it using the links below? You never know what insights or advice they may have to offer. We want Which Greek Island to be as accurate and informative as possible, so, if you notice anything wrong with this listing about Sidari or any other page please let us know. We’re also on the lookout for great photos to show people what the places we’re describing are like. If you have photos from Sidari or from any of the other places on the site then we’d love to see them, simply click the button below to go to the photo upload page. Thanks.